Although the Father has given us many discipleship tools for connecting with and maturing in Him, the most powerful method for any believer is prayer. 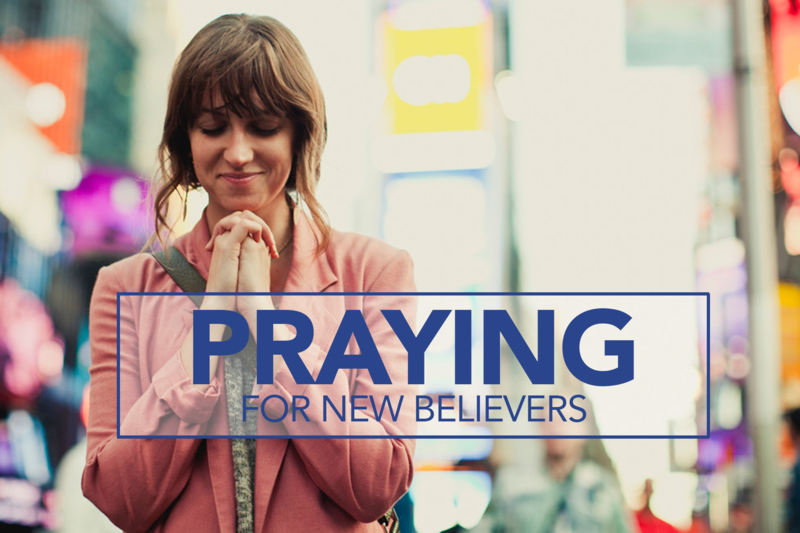 One way we can support a new believer is by praying for them regularly and intentionally as they conform to the image of Christ. Each church should be filled with individuals maturing in their relationship with the Lord and experiencing spiritual growth. As the church is faithful to pray for and train new believers in Christian love and service, she will be better equipped to fulfill the Great Commission given to us by our Lord. Throughout this month, we will be praying for new believers—that the Father would provide opportunities for us to lead others to Him, as well as for recently saved believers already acclimating into our church families. Give praise to God the Father and to Jesus Christ who is Savior and Redeemer and came to seek and to save the lost (Luke 15:1-31, 19:9-10, John 14:6). Recount your testimony of salvation, thanking God for his salvation and deliverance (Psalm 40:1-3). Call out the name of any new believer that you may know, asking that the assurance of salvation would be known and felt by them (Ephesians 1:13-14, Romans 8:14-16). Pray that the Holy Spirit will guide them as they read the Bible, helping them to understand the truth of God’s Word and how to apply it to their life (John 16:13). Pray for the development and evidence of the fruit of the Spirit, love, joy, peace, patience, kindness, goodness, faithfulness, gentleness, and self-control in their lives (Galatians 5:22-23). Pray that they will be guided into the ministry to which God is specifically calling them, and that the Holy Spirit will give them new Spirit-empowered abilities or capacities for this ministry (1 Corinthians 12:4-31, Romans 12:4-8, Ephesians 3:16). Pray that the Holy Spirit will convict them of sin throughout their life, shaping their conscience to recognize sin, and motivate and empower them to change (John 16:8). Pray that they will receive the baptism of the Holy Spirit and be empowered to witness (Matthew 3:11; Luke 24:49–53; Acts 1:4–8).